The purpose of the Spire ZooSchool is to provide each participating student a “passion for the natural world” through innovative learning experiences shaped by critical thinking skills and hands-on activities, as well as real world applications in an environment outside of the standard classroom. The curriculum follows the Alabama State Department of Education’s Course of Study standards in the core areas of English/Language Arts, Mathematics, Social Sciences and Science and incorporates common core standards as they are adopted by the state. 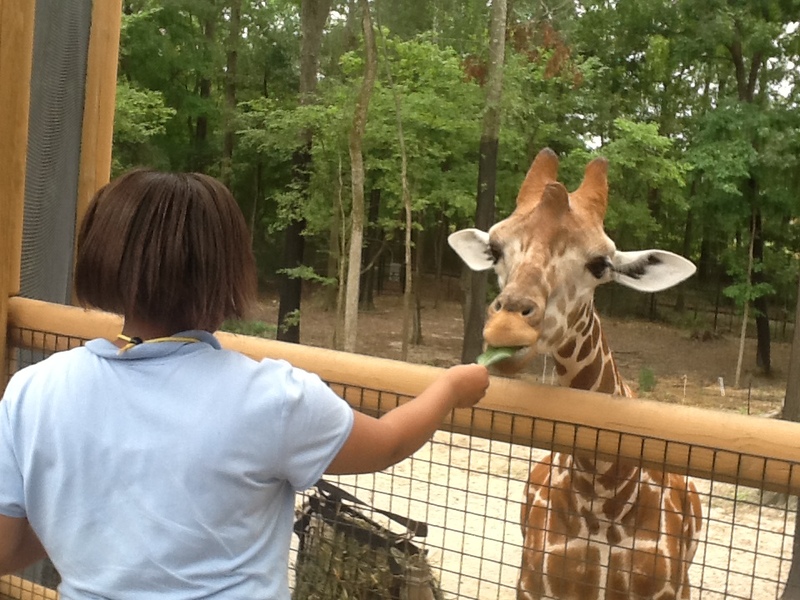 Spire ZooSchool is a weeklong environmental education experience offered at the Birmingham Zoo. The program is correlated with Alabama College and Career Readiness Standards and includes elements of all major subject areas. 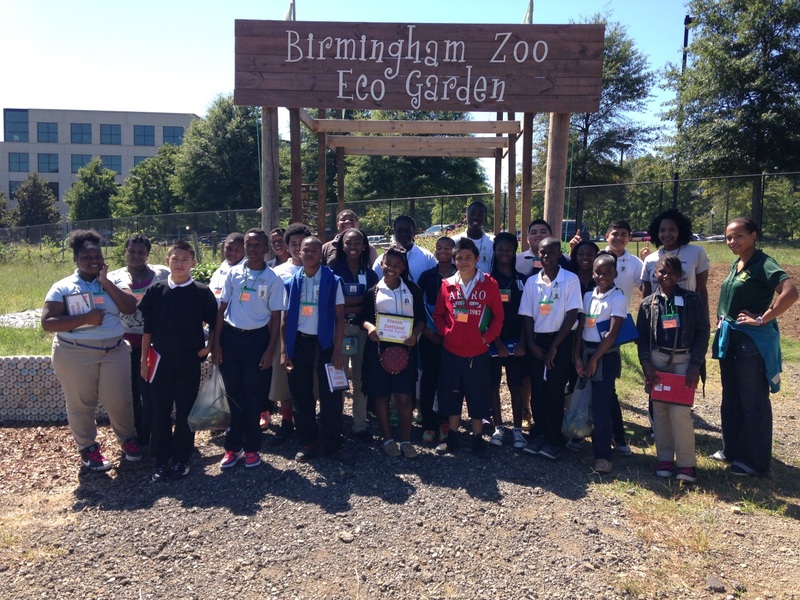 Each year up to 700 7th graders from Birmingham City Schools attend Spire ZooSchool for the weeklong program. Spire ZooSchool strives to ensure that each student leaves with a greater appreciation for the environment; both globally and locally. Throughout the week, attendees focus on environmental problems including: poaching, habitat destruction, unclean drinking water and the loss of keystone species. Through observation, demonstrations and teacher led discussions, students analyze solutions to these problems. At the beginning of the week, students get a local perspective by exploring Alabama’s environment before transitioning into global issues. Students then explore the positive and negative impacts that people around the wold have on their environment. At the end of the week, students create a research based digital story where they examine existing solutions to animal population decline and evaluate the effectiveness of current solutions. Students leave Spire ZooSchool understanding that humans are members of the natural world and have a responsibility to effectively manage resources. To date, Spire ZooSchool has served over 2,000 urban students who have limited exposure to wildlife and its surrounding habitats. Spire ZooSchool’s mission is to inspire participants to have passion for the natural world and empower them to become critical stewards of available resources. Each year, Spire ZooSchool places and emphasis on the available resources in Alabama and empowers students to act by sharing conservation methods that can easily be practiced at home. For examples, students learn that they can keep their communities clean and where to recycle in Birmingham. By developing this understanding, students take ownership of their role in the environment. 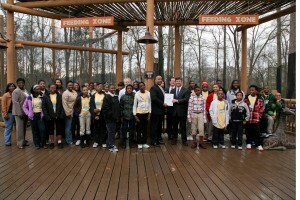 The Birmingham Zoo received a Museums for America award from the Institute of Museum and Library Services totaling $133,000 ($66,500 each year for the 2012 – 2013 and 2013 – 2014 school years) to support the Spire ZooSchool program. The Birmingham Zoo was the only award recipient in the state of Alabama in 2012. This amount must be matched with $154,451 from other donors for a total of $287,451 for two school years. 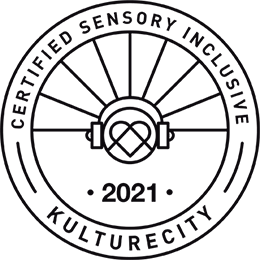 The program’s annual budget is approximately $143,725. The Institute of Museum and Library Services is the primary source of federal support for the nation’s 123,000 libraries and 17,500 museums. Through grant making, policy development and research, IMLS helps communities and individuals thrive with broad public access to knowledge, cultural heritage and lifelong learning. The Joseph S. Bruno Charitable Foundation provided a challenge grant for the Trails of Africa ZooSchool in 2010. Other major funders include Kiwanis Club of Birmingham, BBVA Compass Bank Foundation, Tom and Julia Crawford, Honda Manufacturing of Alabama, LLC, Hill Crest Foundation, Inc., and IBERIABANK. Both private and corporate gifts continue to be raised to cost share the grant over the next two years. You can support Spire ZooSchool with a gift today! Please click here to make your gift.